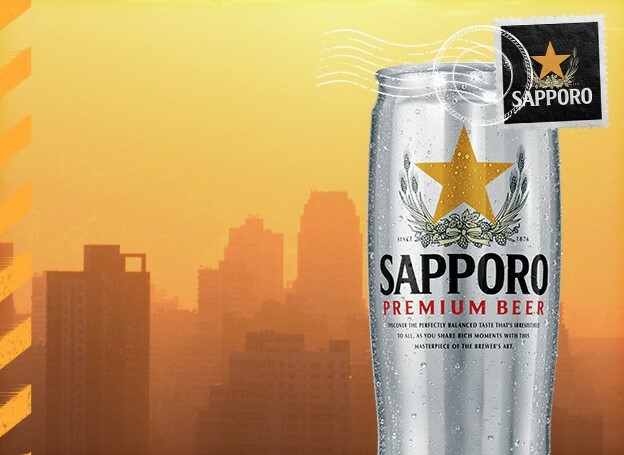 Sapporo Beer wants you to enter daily for a chance to win a vacation to one of three fabulous mystery locations, either a beach trip, a city trip of a snow trip! One (1) Beach Trip Prize will be made available, consisting of a four (4) night trip for winner and one (1) guest to a beach destination within the 48 contiguous United States or DC (excluding AK and HI) as selected by Sponsor in its sole discretion, including: round trip coach air travel for winner and one (1) guest from the major gateway airport closest to winner’s residence (airports determined solely by Sponsor); double occupancy (one  room) hotel accommodations for four (4) nights at a hotel selected by Sponsor; and a grand total of $1,000 awarded in the form of a check made payable to the winner to be used for meals, activities, and ground transportation. The total approximate retail value of the Beach Trip Prize is $4,995. One (1) City Trip Prize will be made available, consisting of a four (4) night trip for winner and one (1) guest to a city destination within the 48 contiguous United States or DC (excluding AK and HI) as selected by Sponsor in its sole discretion, including: round trip coach air travel for winner and one (1) guest from the major gateway airport closest to winner’s residence (airports determined solely by Sponsor); double occupancy (one  room) hotel accommodations for four (4) nights at a hotel selected by Sponsor; and a grand total of $1,000 awarded in the form of a check made payable to the winner to be used for meals, activities, and ground transportation. The total approximate retail value of the City Trip Prize is $4,995. One (1) Snow Trip Prize will be made available, consisting of a four (4) night trip for winner and one (1) guest to a winter activity destination within the 48 contiguous United States or DC (excluding AK and HI) as selected by Sponsor in its sole discretion, including: round trip coach air travel for winner and one (1) guest from the major gateway airport closest to winner’s residence (airports determined solely by Sponsor); double occupancy (one  room) hotel accommodations for four (4) nights at a hotel selected by Sponsor; and a grand total of $1,000 awarded in the form of a check made payable to the winner to be used for meals, activities, and ground transportation. The total approximate retail value of the Snow Trip Prize is $4,995. This Sweepstakes ends on 09/04/16 and you can ENTER DAILY to win.